Located on the heavily trafficked iPoker Network, Mansion Poker offers a wide range of competitive online poker promotions, big money guaranteed tournaments, live event prize packages, and a solid and innovative software platform. 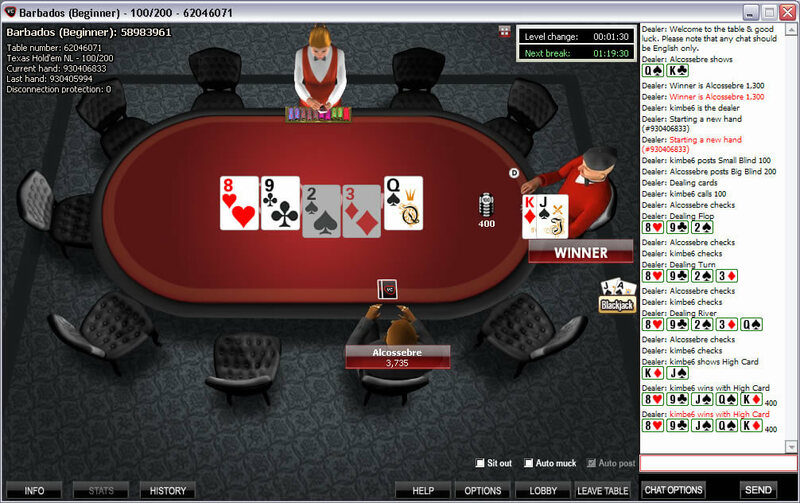 Significant action can be found in all of the favored poker forms, as well as the less common forms provided in Mansion Poker’s game selection. An exclusive 200% Mansion Poker bonus of up to $2000 is available to new players who sign up through EveryPoker.com, and a Refer-a-Friend bonus of up to $75 per friend provides an added boost to players’ bankrolls. Additionally, Club Mansion members receive invitations to exclusive freerolls, and may use the Mansion Club points they accumulate to purchase merchandise from Mansion Poker’s online store. Customer support at Mansion Poker may be reached through a variety of contact methods, including an in-game live chat feature, and a large selection of deposit and withdrawal options give players more than enough choices for managing their online poker account. Overall, Mansion Poker presents online poker players with all of the most important components expected out of a first-rate online poker room, and then some. The software used by the Mansion Poker online poker room is developed by the industry-renowned company, PlayTech, for iPoker partnered sites. Featuring the latest in online poker innovations, Mansion Poker provides online poker players with a highly customizable platform, complete with an intuitive lobby filtering system, multi-tabling functionality up to 16 tables, and performance enhancing optimizations. Designed to be compatible with a wide range of Windows operating systems, the Mansion Poker software is easily downloaded and installed within moments over a broadband connection. There is currently no support for Mac or Linux users, though work-arounds such as Boot Camp may enable reliable access to experienced users. 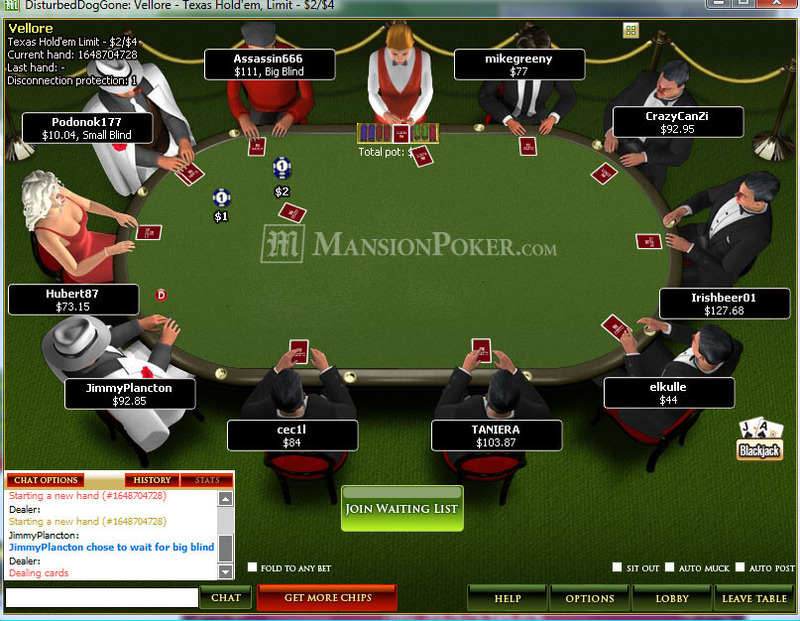 Mansion Poker is situated on one of the most popular and highly trafficked online poker networks in the industry. The sheer volume of online poker promotions and guaranteed tournaments have helped Mansion Poker attract a large and growing segment of the online poker community, resulting in constant action in most forms and limits available at Mansion Poker’s cash games. From new player freerolls to the Sunday $200K Guaranteed, players will find a wide and varied schedule of online poker tournaments to fit any bankroll and skill level at Mansion Poker. Numerous progressive jackpot Sit and Gos, multi-table tournament leaderboard races, and the team-based 5-A-Side Poker Championship give tournament lovers plenty of options to compete for a share of a guaranteed cash prize. Regular live event qualifiers offer prize packages to the most prestigious poker tournaments all over the world, including the World Series of Poker, Aussie Millions, Asian Poker Tour, and many more. In addition, Mansion Poker players can compete in iPoker’s European Championship of Online Poker series (ECOOP). All of the favorite online poker forms can be found at Mansion Poker, with No Limit Texas Hold’em drawing the greatest amount of action. The Pot Limit Omaha and Fixed Limit cash games draw hundreds of active players, and some action can always be found in the Pot Limit Omaha Hi-Lo and 5 Card Stud tables. 7 Card Stud games are available as well, but finding a good game is next to impossible. All types of players can be found on the iPoker Network; inexperienced newbies, daily grinders, casual hobbyists and high rollers. 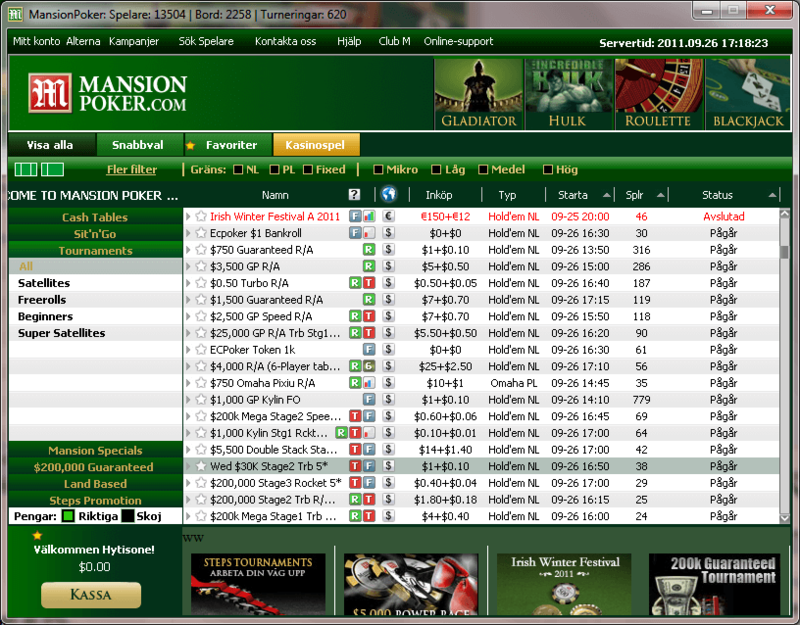 The cash games range from very soft in the lower to mid limits, to quite tough in the highest stakes. Using some table selection guidelines will be most helpful to finding the juiciest games at Mansion Poker. First-time depositors can earn a rewarding 200% Mansion poker welcome bonus of up to $2000 by using EveryPoker’s exclusive Mansion Poker bonus code: vip2012. In addition to a most gratifying sign up bonus, Mansion Poker will also supply new depositors with access to two $2,500 freerolls. The Mansion Poker bonus is released in $5 increments for every 500 Mansion Club Points player’s accumulate while participating in raked cash games and tournaments with an entry fee. Qualifying players will have 30 days from the date of their first online poker bet to earn the sign up bonus. After 30 days, any unclaimed pending bonus will expire. Club Mansion is a tier-based loyalty reward system that offers greater incentives to Mansion Poker’s online poker players with each level achieved. The value of each level’s rewards also go up the longer one maintains their current level of play before cashing out their points. Mansion Club Points can be exchanged for merchandise, cash bonuses or exclusive tournament buy-ins. In addition to bonus and loyalty reward promotions, Mansion Poker is host to a number of recurring and seasonal online poker promotions that include progressive jackpot Sit and Gos, point boosting happy hours, a regular schedule of guaranteed poker tournaments, and leaderboard races. Major live event qualifiers, with low-cost satellites and numerous opportunities to qualify, have sent many online poker players to such tournaments as the World Series of Poker Main Event, the Aussie Millions, the Asian Poker Tour, and the Irish Open. The Mansion Poker customer support team can be contact by a number of methods; 24 hours a day, 7 days a week. An in-game live chat function provides instant assistance and resolution of any issue players may be experiencing. Support may also be reached via telephone, email and fax. Deposits: Visa, MasterCard, Solo, Switch, Maestro, Visa Electron, Delta, Euro 6000, EntroPay, Envoy, iDeal, Laser, Click and Buy, Ticket Premium, NETeller, InstaDebit, Boleto Bancario, Neosurf, UseMyBank, Przelewy24, eKonto, Paysafecard, Moneybookers, MultiBanco, WebMoney, GiroPay, POLi, GluePay, Nordea, EPS, Sofort, Ewire, Click2Pay, Santander, myCitadel, Abaqoos, ECOcard, eNets, Ukash, DK, Moneta.ru, Teleingreso and Euteller. Cashouts: Visa, Euro 6000, Solo, Switch, Maestro, Entropay, Envoy, Delta, Visa Electron, Laser, NETeller, Moneybookers, Click and Buy, Instadebit, WebMoney, POLi, Nordea, Click2Pay, myCitadel, ECOcard, eNets, Moneta.ru and DK.